Anne S. from Alameda, CA US recommends this vacation rental. Beautiful view. So convenient. Very nice clean apartment. Mahalo and hope to see you again! We love staying at Kaleialoha and have stayed there for many years. I have stayed with the Kaleialoha Condo for over 20 years. It was always been awesome starting with Lonnie when requesting dates all the way to the on site maintenance guy. This year we had Hurricane Lane to deal with, our flight was canceled and we couldn't get out until the next day. Terry who works with Lonnie arranged for us to use 413 for an addition day. The condo was clean and well stocked with everything you would need to enjoy your vacation. Once again AWESOME! See you next time Craig! One of the best places to stay in Maui! Richard H. from Mission Viejo, CA United States recommends this vacation rental. My wife and LOVE these condos, and 413 is always exceptional. Great view, no noisy neighbors, easy parking, and of course beach access! The views from the lanai are amazing. Rent here...you won't be disappointed! Mahalo for your comments! Be sure and ask for our repeat guest discount! See you next time! We enjoyed our stay as usual at Kaleialoha very much. Kaleialoha is a favorite place of ours to stay on Maui..
Aloha and see you next year! Best view of the whales!! Julia J. from Maple Valley, WA United States recommends this vacation rental. We absolutely loved our recent stay. Most comfortable bed ever! Had everything we could have ever needed. We definitely will choose Kaleialoha again! Mahalo and so Glad you enjoyed the stay! Thanks to Loni for saving our vaycay!!! Loni saved our vacation! I had gotten dates of stay way wrong! We arrived a month before the dates I had reserved for. After getting over the shock of our sudden arrival, Loni was so kind. She found us lodging at Kaleialoha for our entire sudden stay!! She is truly a miracle worker! She and I agreed to work closely when next I book a stay at Kaleialoha! I have been coming to stay here for almost 20 years! I have brought family, friends, coworkers; and everyone has highly enjoyed their stay at Kaleialoha!!! It was so awesome that it worked out! See you soon! donna r. from chestermere, AB United States recommends this vacation rental. It was a great experience. Rental better than expected. Better than photos and ad online. Richard B. from Lahaina, HI United States recommends this vacation rental. So very glad you enjoyed the stay! Come back soon! Glenn A. from Roanoke, VA United States recommends this vacation rental. We stopped in the rental office to check in, and the lady there was excellent re giving directions to our condo, places to eat and shop in the area, etc. Even so, we were not prepared for how great this condo was. Well equipped, (the bottle of one of our favorite Chiantis and the chocolate covered Macadamia nuts left for us were a bonus), quiet, great beds, very clean and very comfortable. The location was good, back from the street so you did not hear any traffic, close enough to walk (this is subjective because we love to walk but may be too far for many people) to Dolly's Pub, Times grocery, farmers market,and just a very short drive to the main highway. But the view was phenomenal. Sunday we just hung around the building and sat on the Lanai watching huge sea turtles. We looked straight across the ocean to the island of Lanai 8 miles away and must have seen 20 rainbows. Johanna R. from Victor, MT United States recommends this vacation rental. Our unit was wonderful with a fabulous view. It was well-equipped with housewares, paper goods(TP, etc,) linens, towels and beach 'toys' including beach chairs and snorkel gear. The location is walking distance to shops and eateries. It is also a short drive to Lahaina. We will definitely come back and highly recommend to friends and family. Excellent Property & We Can't Wait to Stay Again! A guest from Chico, CA United States recommends this vacation rental. Overall it was a great stay, and we'll definitely chose this property again (perhaps we'll try a different unit though) on future trips! Stephanie W. from Lahaina, HI United States recommends this vacation rental. We had a fabulous time! The unit was clean and we were pleasantly surprised by the washer/dryer, beach towels, chairs, cooler, umbrella and snorkel gear! What a savings for us! The bed, oh the bed was so comfortable!! I usually can't move for the first hour after getting out of a strange bed, but yours was just like ours at home! So soft and snuggly! Thank you for truly making your rental a home away from home! Doug L. from lahaina, HI United States recommends this vacation rental. Condos are not new, but are well maintained and an excellent value. Would definitely stay again. Thank you Lonnelle. We have stayed at Kalaialoha for many years now and always enjoy it there. TIM K. from Lahaina, HI United States recommends this vacation rental. Bill S. from Lahaina, HI United States recommends this vacation rental. As I said before our stay in Maui was all too short but it did whet our appertite. We would love to return & if we did we would definitely stay at Kaleialoha Condominiums. robert f. from Spokane, WA United States recommends this vacation rental. We loved every minute. Beautiful views each day off the Lani. Great condo and Lonnie the manager was outstanding. Can't wait to go back?? 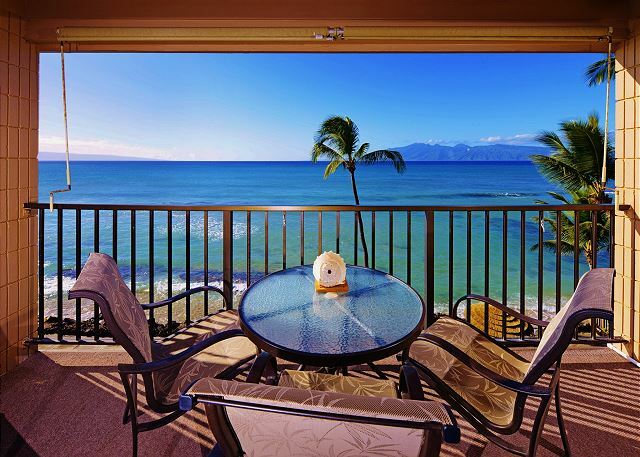 Oliver V. from Lahaina, HI United States recommends this vacation rental. Unfortunately there's no AC in the sleeping room. That's the only point on the downside. Mahalo for your comments! Sorry about the lack of AC in bedroom. It is quite hot now but normally it's fine with the fans provided! this was our 12th consecutive year and s always was fabulous! Turtles swimming s we sipped mimosas on our lanai, great views of Molokai and Lanai from our balcony lanai,and around the corner Kahoolawe, great restaurants close by and wonderful off season weather and island beauty, very accessible and surrounding this condo. highly recommended. Mahalo my Friend! So good to see you guys again! Susan D. from Lahaina, HI United States recommends this vacation rental. My husband and I spent 5 days here recently and it was wonderful; clean spacious and had everything we needed and more, close to restaurants shops. There is not a beach nor access to the water directly in front of the complex but a nice beach in short walking and driving distance. I would recommend this to friends and would definitely stay here again. Mahalo for opening up your home to us. Michelle C. from Lahaina, HI United States recommends this vacation rental. It was a last minute trip without much time to research options, so we trusted the description promising 180 degree ocean views. We were not disappointed! Loved the unit, the views and the location. Sue M. from Fox Island, WA United States recommends this vacation rental. Right on the ocean, sea turtles every day were a joy to watch. Farmers market walking distance. We have stayed there twice, and will go again. SHARON L. from Phoenix, AZ United States recommends this vacation rental. We were so delighted with our stay; our unit was so well furnished and cozy; we had everything we needed to be comfortable and feel at home. We loved the view, the hundreds of whale sighting, and the sea turtle show from our little say nothing of the wonderful sunsets. We found the location walkable to many places we enjoyed seeing and eating. The upkeep of the property was very thorough without infringing on the peace and enjoyment of the tenants. Everyone was very friendly and helpful. When we come back, we will definitely come back to Kaleialoha #413! Gayle H. from Eugene, OR United States recommends this vacation rental. Rain at times, but still the view from "our" condo, combined with the warm temperature gave us a great getaway from home, which was 30degrees colder! I liked that it wasn't a huge hotel, but a home in a neighborhood. A great place. James B. from Punta Gorda, FL United States recommends this vacation rental. Had a wonderful time and the condo was just like a home away from home. Lance & Karen C. from Millilani, HI United States recommends this vacation rental. Had a relaxing time at Kaliealoha! 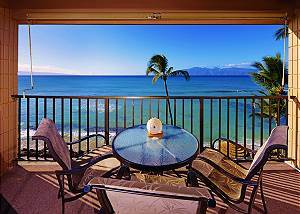 Condo views were fabulous with Lanai and Molokai framed by the resort's palm trees. Enjoyed watching the honus ride the waves. Very convenient to Lahaina to catch whale watching cruises. Helpful info on local eateries in the condo. Comfortable, clean and well stocked. Had difficulties with the wifi - the only negative of the weekend. But hey you're on vacation in Maui! Would come back here for future visits. Our favorite place we call PARADISE. As with our 10th and 20th we spent our 30th Anniversary here at Kaliealoha and found it to be as comfortable, clean and the piece of paradise we were looking for. We love the sound of the ocean lapping against the rocks. We love the mornings and evenings with the sun rising and setting to create some of the most romantic sites anyone can dream of. This is close to Lahaina town and the enjoyment for all to experience. What more could anyone ask for? Magdalena J. from Porter Ranch, CA United States recommends this vacation rental. We had an amazing time in the apartment. Location is beautiful and the apartment was very well equipped with all necessary items and more. We loved the fact that there was a full kitchen with dishes, cups etc and even a dishwasher. ALso washer and dryer came very handy. This is the second time we have stayed at this resort. We love the area because we can walk to the store, restaurants and of course the ocean is right outside your door. There were a couple of things that needed to be fixed but Lonnie and Bert took care of them right away.We would stay there again and we will be back in the fall. A guest from Powder Springs, GA United States recommends this vacation rental. Having washer & dryer in our unit was perfect for us. We don't wear shoes in our house, so no shoes policy was great for us. Close to a few grocery store, many restaurants and everything you need! Coffee filters and salt & pepper would have been nice, since we would have only use just a few... It was very nice to have beach towels for us to use. The only big minus was not having AC in the bedroom. Placing a fan in the hallway facing the bedroom and another in the bedroom helped(with AC on in the living room), but it was still warm. Time for new bed linens and pillows. Even if I had to pack a set of sheets, I will stay there again. Location, location, location! Tengfei M. from Shanghai, China United States recommends this vacation rental. Fantastic hotel, quiet, good location,every room facing beach directly. I love the cookroom and furniture very much. What confused me only was no air condition in the bedroom, so we have to slept in the living room. This place bt far is one of our favorites. The view and the privacy was spectacular. We will be back. Blake C. from Elk Grove, CA United States recommends this vacation rental. Ruth A. from Cocoa, FL United States recommends this vacation rental. The condo was great! The view was amazing with beautiful sunsets. There were lots of places near by to shop and play. You can snorkle right out in front of the condo or go to some near by beaches. When we first booked it was just going to be the 2 of us but it ended up being 4. I thought it might feel cramped with only one bed and bath but we were all very comfortable. The condo was quiet. It was nice being in a smaller complex without a lot of people because it felt as though we were in a house.The kitchen needed utencils for BBQ grille and maybe more than one spatula. NO AC in the bedroom wasn't as bad as I thought it would be. Turning the ceiling fan on high made it comfortable. The ladies in the office were great! We would love to stay there again! Gordon L. from Bend, Oregon United States recommends this vacation rental. Debra R. from Folsom, California United States recommends this vacation rental. Very nice and clean condo! The views are unprecedented! Turtles dolphins, and of course whale watching right from the comfort of your balcony! Not crowded like the big resorts. 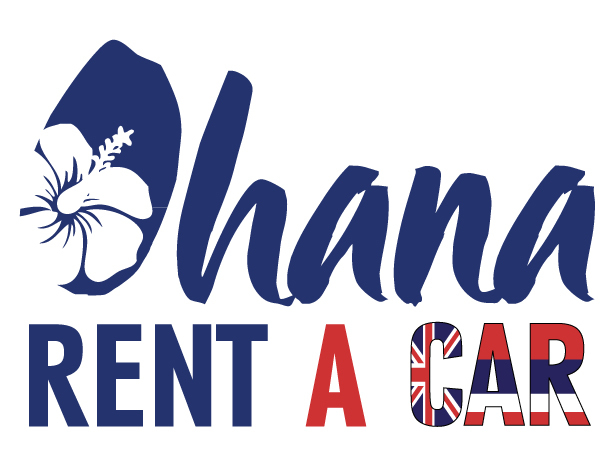 If you are looking to relax and get in the aloha spirit then this is the place for you! Balakuntalam S. from Appleton, WI United States recommends this vacation rental. August B. from Lawrenceville, NJ United States recommends this vacation rental. Really great. From the lanai we could watch whales. Green turtles fed on the reef right in front of us. Beautiful location. Lots of great restaurants nearby. Accommodations were great. Everything we needed to eat in do laundry, iron and mix slurpies or Mai tai's. No need for air conditioning great breeze all the time. A guest from Hong Kong, HK Hong Kong recommends this vacation rental. A clean and well-kept apartment on a pristine beach. Best 10 days of 2014..... in room 413! Robert B. from Burien, WA United States recommends this vacation rental. Such a peaceful and relaxing stay. Everyone was friendly, the view was amazing, and we can't wait to go back! Was pleasantly surprised with the beautiful ocean view and clean condo! The condo was very nice, it was equipped with everything you need. I was also pleasantly surprised that fins, snorkel, masks, beach chair and boogie boards were also in the closet. I didn't expect that. I had a lovely time. Would definitely book again. Audra P. from Santa Clara, CA United States recommends this vacation rental. I took my dad to Hawaii for his first experience on the islands. This was the perfect place to stay clean, convenient, easy in and out not to mention beautiful sounds of the ocean, turtles swimming by every day, and the most beautiful sunsets. I loved our corner unit and of course Slappy Cakes down the street. We'll be back. Aloha. And Mahalo. The location of the 68 unit complex was perfect, with the ocean right at your doorstep. The unit we stayed in was a little dated, but the view and location made up for it. Very clean, and the grounds were kept up nicely. We will go back!! Dana L. from Chicago, Illonois United States recommends this vacation rental. After a friend got married in Honolulu, I wanted to extend my trip to Maui and found room 413 at Kaleialoha. It was just me and this place was perfect (would be perfect for a couple as well). Being solo though, I found it very safe. The ocean view was amazing. While I wasn't expecting it, there were beach towels, sun screen, 2 boogie boards, 2 beach chairs, and coolers that I could use. Also..washer and dryer was great! I was in Maui for a bit and one day just wanted to lay around and watch tv for a few hours. The property has movies that you can borrow which made this even better. This was a perfect place to lay my head at night and enjoy during the day. And so affordable! I would tell everyone to stay here. Have stayed at the Kaleialoha many times and have never been disappointed. Great location and the staff is friendly and knowledgeable. Will return again. Erin E. from Eagan, MN United States recommends this vacation rental. The vacation rental was very nicely decorated and clean. The view of the ocean was amazing and we loved that a sandy beach was right next door. We loved seeing the sea turtles everyday outside our window. It felt like home there and very comfortable. We would come back. The only recommendation would be to get a toaster for the kitchen as we loved having coffee in the morning on the lanai but would have loved to have a toasted bagel with it too:) We must have stayed during the off season as maintenance was renovating an apartment below us so it was a little noisy one day but that is to be expected. Overall it was a great experience! Robert A. from Newberg, OR United States recommends this vacation rental. Mitzi B. from Pahoa, HI United States recommends this vacation rental. We loved it and would like to return sometime soon! Great ocean views, turtles every morning, nice accomodations, beautiful sunsets, friendly staff. We will definitely be back to Kaleialoha. Such a relaxing time. Wanda B. from Saskatoon, Sask Canada recommends this vacation rental. We very much enjoyed our 12 day vacation at 413 Kaleialoha. Tastefully decorated with a comfy bed. While the kitchen is a bit dated, it is very well equipped with everything one needed for meal making. The soft sided cooler was very much appreciated for lunches on the go - we used it everyday! The location was great for a walk to the farmers market and Times Supermarket. We used the common BBQs everyday - great meeting place. The condo grounds were very well kept and we noticed the grounds keeper out every day cleaning the property. We recommend and hope to return soon!